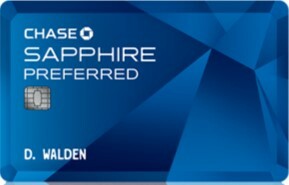 Just a quick reminder that tomorrow you’ll get 3x Ultimate Rewards points on dining when you use your Chase Sapphire Preferred card at restaurants. Normally the CSP gives two points but once a month gives us this little boost. Ultimate Rewards points are extremely versatile. They can be transfered to six different airline frequent flyer programs, four different hotel rewards programs and to Amtrak’s program. Or you can use them like cash when buying travel products through the Ultimate Rewards portal. If you choose to redeem this way you’re not limited by award seat/room availability and you’ll earn points on your flight or stay. As an added bonus you’ll get a 20% discount on the number of points required – so a $500 flight would only cost 40,000 points. If you don’t have an immediate use for Ultimate Rewards points, it’s best to hang on to them and only transfer them when needed. That keeps them flexible, which is one of their greatest assets. So go out to lunch with your co-workers tomorrow, offer to put the bill on your credit card and have them reimburse you!